Oh how I wish I could emulate the Proverbs 31 woman, but so often I fall short. Obviously we will fall short, because we are not Jesus. But what is important is these verses are examples to follow, models of how to live. So it is with Proverbs 31:10-31.This passage is giving us a lengthy example of how to live the Christian life. These examples are so important in a culture that does not provide godly examples. Without examples of how to live, we would fatter all the more. Can I be the Proverbs 31 woman? Doubtful. Can I use her as an example to follow? Yes. Labor Day is more than an end of summer cook-out and a 3-day weekend. It’s about a return to routine. Moms understand this. School is back in session. My children are busy with music lessons and sports practices again. 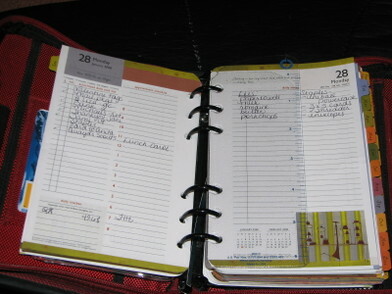 In many ways I am busier than I was during the summer. But life is more predictable. There will be scheduled meals and bedtimes. Appointments are planned. I know what is on my schedule. One of the many things on my fall schedule is my Monday Night Ladies Bible Study. We break for the summer, but sometimes I wish we didn’t. Not only are these ladies my friends and prayer partners, they are also my accountability partners. Now that school is back in session, we will return to our weekly Bible Study. I’m looking forward to the fellowship with other Christian women, and lifting each other up in prayer. But mostly, I’m looking forward to digging into another exciting Bible Study and spending more structured time in God’s Word. There’s something exciting about opening the pages of a new Bible Study. You wonder, “What is God going to reveal to me here?” Oh the anticipation. I’m like a kid waiting for Christmas. Oh Christmas! That’s going to mess up my precious routine. Jenny loved her pearls. They made her feel dressed up and grown up. She wore them everywhere – Sunday school, kindergarten, even to bed. The only time she took them off was when she went swimming or had a bubble bath. Mother said if they got wet; they might turn her neck green. “That’s okay. Sleep well. God bless you, little one. Daddy loves you” And as always, he brushed her cheek with a gentle kiss. Jenny didn’t say anything but lifted her little hand up to her daddy. 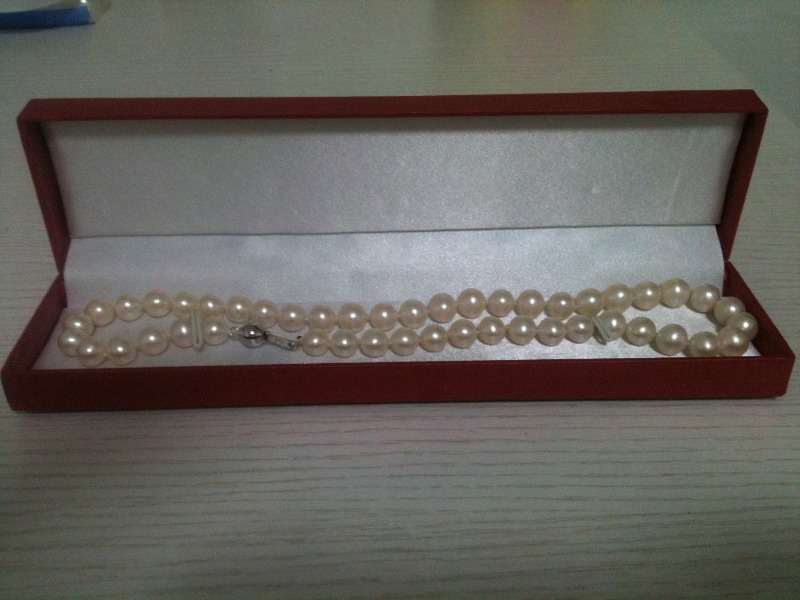 And when she opened it, there was her little pearl necklace. With a little quiver, she finally said, “Here, Daddy. It’s for you.” With tears gathering in his own eyes, Jenny’s kind daddy reached out with one hand to take the dime-store necklace, and with the other hand he reached into his pocket and pulled out a blue velvet case with a strand of genuine pearls and gave them to Jenny. He had them all the time. He was just waiting for her to give up the dime-store stuff so he could give her the genuine treasure. So it is with our Heavenly Father. He is waiting for us to give up the cheap things in our lives so that he can give us beautiful treasure. Isn’t God good? Are you holding onto things which God wants you to let go of. Are you holding on to harmful or unnecessary partners, relationships, habits and activities which you have come so attached to that it seems impossible to let go? Sometimes it is so hard to see what is in the other hand but do believe this one thing……………… God will never take away something without giving you something better in its place. I love going to the beach. Many of you do too. There are many reasons we love the beach, we get to squish our toes in the sand, the water is refreshing, and the sunshine surrounds us. One feeling I especially love is the warm sunshine kissing my face. It lights me up. I know we can enjoy the sunshine in other places too, and I do. Sunshine is a gift from God, and we should enjoy it. The sunshine heightens our mood. It seems to make everything happier, and the day more beautiful. The sun’s rays even affect the beauty of inanimate objects. Light is the presence of all color, so the sunlight makes everything more vibrant. Sometimes we can see rays of sunshine. Sun’s rays filtering through tree branches brighten up the forest. The sky is further illuminated when the sun’s rays jump out from behind clouds. One of the very pleasurable things about a ray of sunshine is how it lights up stained glass windows. 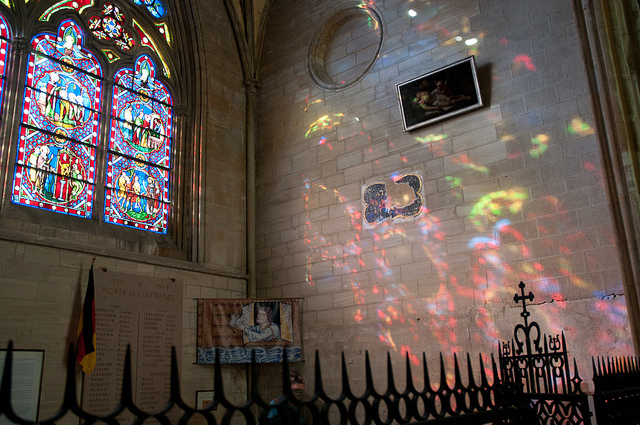 The sun shines through these majestic pieces of art and drops color wherever the sunlight falls. Lime – a specific type of sedimentary rock containing high levels of calcium or magnesium carbonate. In other words, dirt is used to make glass. Do you ever feel like nothing special? Or has something happened that makes you feel like dirt? 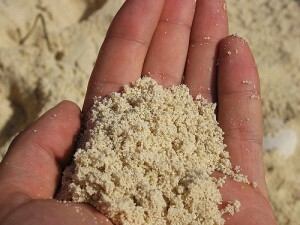 The sand, soda ash and lime are melted together at high temperatures, until the mixture become a syrupy mass. When this syrup cools, it becomes glass. That’s how it is with our lives. We feel ordinary, like we are nothing special. We might even feel like dirt. But along comes a major issue, and we’re exposed to enormous heat. When things cool off we find that something gratifying has happened in our lives to change us for the better. But making glass is just the first step in the process of making stained glass windows. To make stained glass, you need some color. Colored glass is made by adding chemicals into the mix of sand, soda ash, and lime. Particular chemicals create specific colors of glass. Amber or brown glass gets its color from iron sulphide. Iron-chromite creates shades of green; cobalt makes beautiful shades of blue. Nickel will give the glass a violet color and selenium will make red glass. We’re adding some more dirt to the mix. Yes, it seems like when we are going through difficult trials we are subjected to even more agitation. We cry out, “how much more” but that agitation just adds to the beauty in our lives. When that crisis is over we see something even more beautiful than before. For a time the trials seem to be over, we relax. We enjoy what has happened to us. We might even become a little prideful. But then a new crisis comes our way, bigger than before. We feel broken, like our life has been shattered. Some stained glass windows are made of broken pieces of glass. An artist arranges those pieces in a pleasing pattern. This process takes time. The artist moves the broken pieces around until the proper pattern emerges. What was once a pile of rubble is now a lovely piece of art for all to enjoy. So often we feel pushed and shoved, like we are being tossed about, but what’s happening is all the piece of our lives are being moved into the proper place, where they create a beautiful work of art. But the process isn’t complete. The broken pieces of glass don’t stand up by themselves. For a stained glass mosaic to be displayed, grout must fill in all the little spaces between each piece of glass. Grout is messy, dirty, and muddy. There are times when it seems like life is that way. We don’t want to get dirty, but we have no choice. Sometimes we feel covered by dirt and grime, even though we have tried to keep our lives neat and tidy. But after the grout dries, the mosaic can stand on its own. Everyone can see the beauty created by broken pieces of colored glass. Some other craftsman actually cut the pieces of colored glass into specific shapes. The artist has a design in mind. He sees different colors of glass and takes those pieces, cuts them according to his vision, and arranges them artfully. He uses a blade to cut the edges in a specific shape. He can’t put a square piece of glass where a triangle should be. It hurts to be cut, trimmed, and shaped. It feels like another trial. But that trial is part of the process to be turned into a work of art. Eventually, he has each piece cut into the perfect shape. It’s artfully arranged in a design or representation of a person. But pieces of stained glass do not stand up on their own. Each individual piece is placed in a strong framework. We need the strong framework of Christ in our lives. The artist then uses solder to attach the pieces together. The solder is very hot. Sometimes we are in situations that we feel like we are getting burned. We think we are getting closer to our goal, but we seem to be getting burned in the process. Eventually that trial is over too. We look back at all the storms of life and notice that we are not the same as before these trials began. We’ve been heated, agitated, shaped, cut and burned. But we’ve become something stunning that lights up even brighter when the light of God shows through us. “I am ashamed of myself, and I want to apologize to you.” “Why?” asked the bearer. “What are you ashamed of?” “I have been able, for these past two years, to deliver only half my load because this crack in my side causes water to leak out all the way back to your masters house. 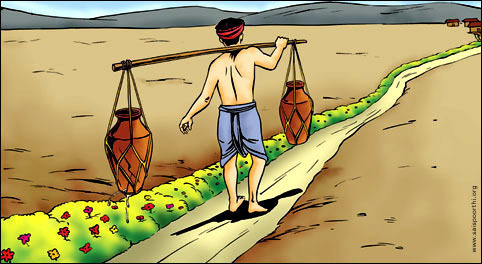 Because of my flaws, you have to do all of this work, and you don’t get full value from your efforts.” the pot said.